BREATHEjane is all about uniting mindful women, supporting and uplifting each other and inspiring a calmer well-being breath by breath. 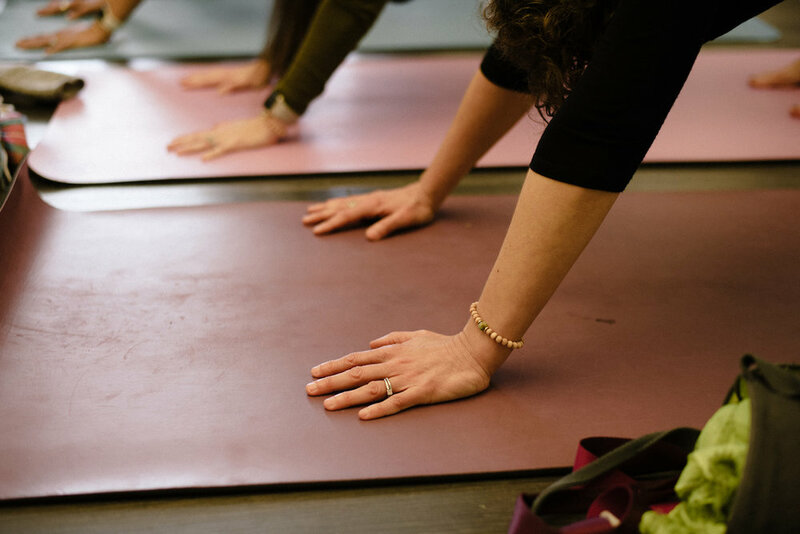 We created the Find Your Breath with BREATHjane experiential events and retreats to celebrate and connect mindful women all over the world. Event photography & video by Annette Ferraro Photography. 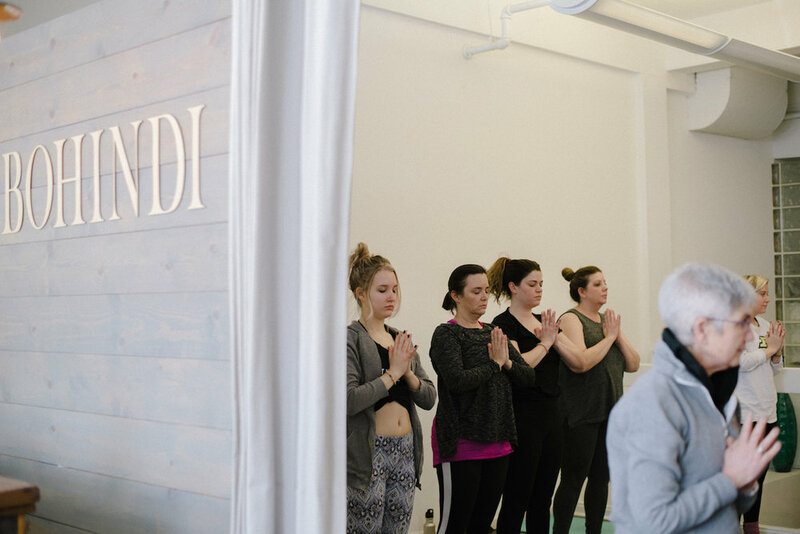 On January 13th, BREATHEjane went local in Columbus, Ohio with our first ever event, Find Your Breath No.1 | Presented by BOHINDI + BREATHEjane. It was a sleepy morning in Columbus, as most shops and businesses closed their doors due to a wintery mix of snow and ice. We couldn't have had a more beautiful location for this cold white morning - BOHINDI located in Upper Arlington, Ohio - was flooded with ever so present natural light. With walls of jewelry collections that are as intentional as they are beautiful, it was the perfect space to keep cozy and feel inspired as we worked to cultivate a sense of direction, clarity and trust in the New Year. 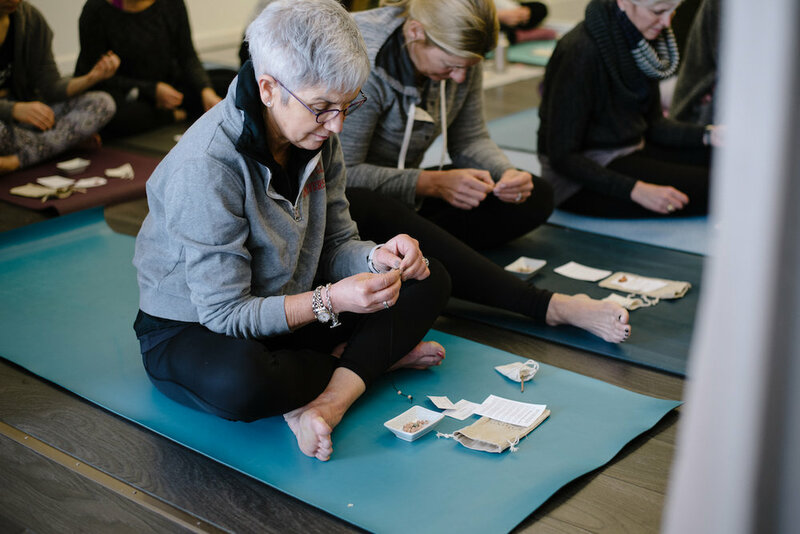 Our dear friend and talented Yoga Instructor, Colleen Brooke Fortney led this introspective practice and meditation jewelry making experience. Women, colleagues, friends, sisters, mothers and daughters came from all over the area to unite, support and uplift each other. Three women even spent the morning of their Birthday with us! Life gets busy and we are always striving for peace and calmness within us - it's not easy. It's work - lots and lots of work. After all that's why we started BREATHEjane. Having so many incredible women come together to share in this practice with us and help us share the light and message from this experience was truly an honor and an inspiration. We celebrated with mimosas, healthy bites and the most delicious hummus from Darista Dips. 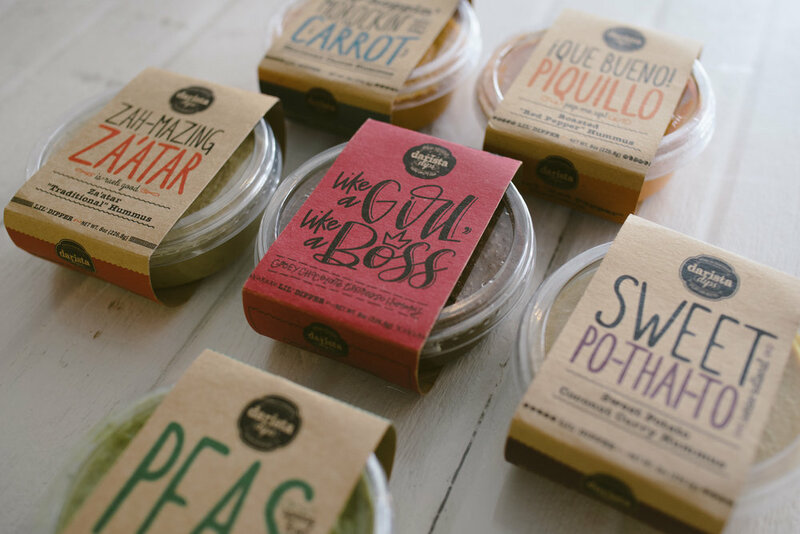 Proudly made in Columbus, Ohio these flavor-packed, made-from-scratch hummus dips, feature imaginative and world-inspired recipes. A must try! Thank you to all who came and shared your joy light with us! Intentions are the fuel that can help manifest our greatest dreams and desires. Really though, we're not being over-dramatic over here - they really do have that much power! An intention is a goal, or vision, that guides our activities, thoughts, attitudes, and choices. Being mindful of our deepest intentions will help shape them into reality and can directly influence actual experiences. In a world that glorifies busy, we are constantly being pulled in so many different directions which can cause us to act mindlessly, losing site of the bigger picture we have for ourselves, leaving us feeling overwhelmed, stressed and unfulfilled. However, setting mindful, positive and energized intentions will attract the essence of what it is and repel what is not in alignment with it. The best thing is that everyone has the power to set intentions and they can be for area of your life- emotional, mental, physical or spiritual. Although intentions start with a mental visualization of your goal, intentions require consistent focus, action, and positive energy to manifest. Remaining focused on our intentions while having so many "to-do's" can pose very real challenges. With little ones and busy schedules we were also struggling with this reality. 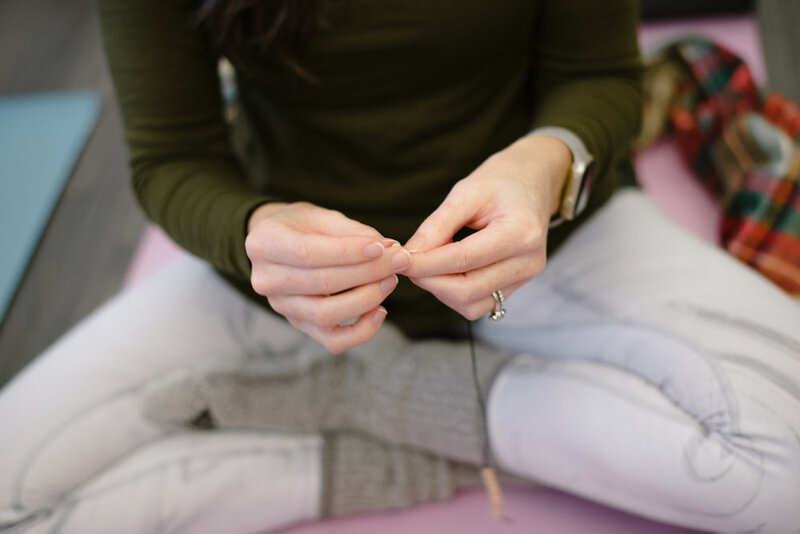 And through these challenges, the Breathe Jane Infinity Wrap was born- specifically created to help keep intentions close and in mind, declaring to yourself, others, and the universe that you are serious about your dreams and goals. 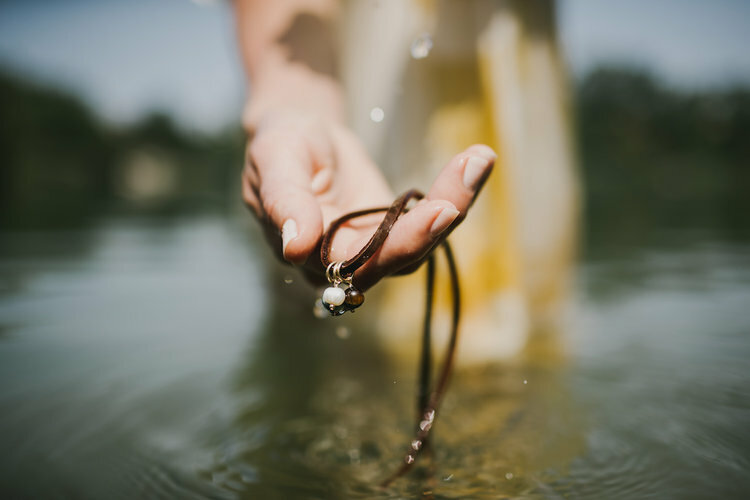 We wear it daily as either a bracelet or necklace and feel a tremendous amount of gratitude for this tangible reminder that helps keep our intentions an active priority in our lives. Do you set daily intentions? We'd love to hear tips on how you keep your intentions close in mind and a part of your daily routine. The morning air is rich and full of earth. The sound of crackling fallen leaves blanket the ground which we walk. Faint embers continue to smolder from last nights campfire conversations and late night shooting stars. You see it's mother nature... reminding us of the seasons of change... Encouraging us to reset, breathe and embrace the experience of life.